Halloween is a fun celebration as our kids dress up and head out into the neighborhoods to go from door to door to get sweet treats. School Halloween parties are another fun treat during the spooky season. There are endless amount of games to play and treats to make. If you are needing a last minute spooky treat for a Halloween costume party or school party then check out these Vampire Donuts over at Gluesticks. 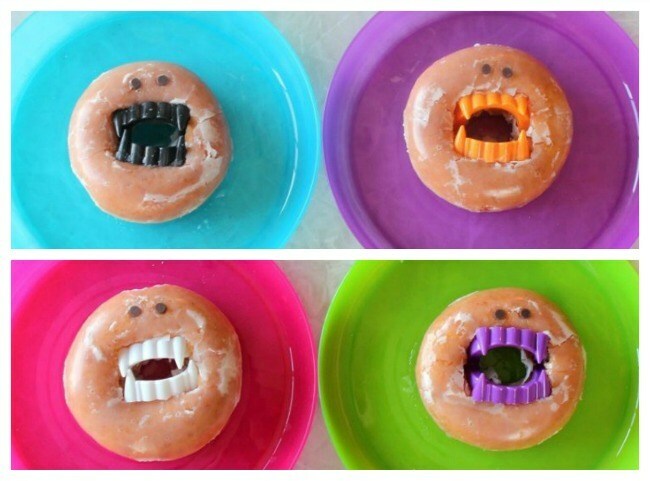 These vampire donuts are so silly, but come together in just about 30 seconds.